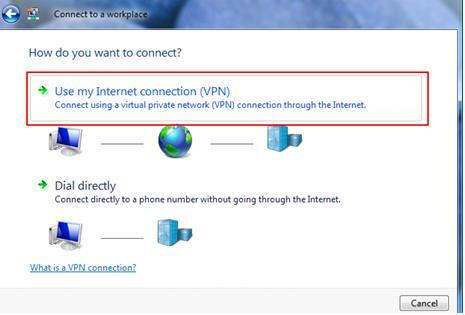 Let me show you simple PPTP VPN client setup in Windows Vista, so that you can connect to XP/Vista PPTP VPN server in your home network from remote location (airport, library, office, restaurant, etc). The data packets will be encrypted if you use VPN connection, so that it won’t be sniffed by hackers using sniffing program. 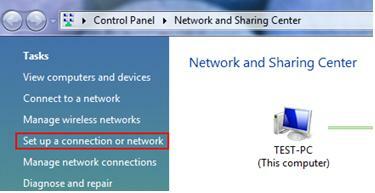 2) Network and Sharing Center window will appear, then click Set up a connection or network option. Note: You can also click this Set up a connection or network option by going to Start->Connect To. 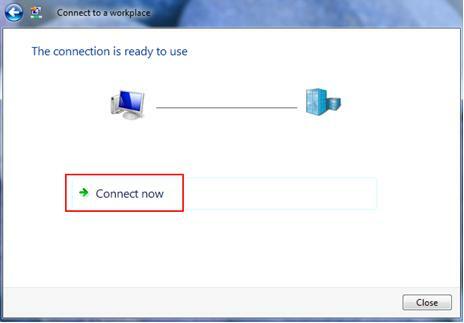 3) Set up a connection or network wizard will appear, proceed to select Connect to a workplace option and then click Next. 4) Click on Use my Internet connection (VPN). Note: I will assume you are connected to the network, so just choose create a new connection if you are asked whether to create a new connection or use an existing connection. 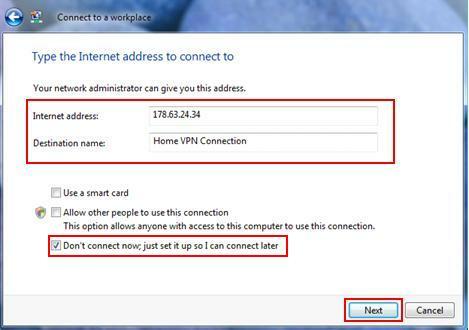 5) Ok, here you need to type the IP address or host name of the VPN server computer in your home network and also name the connection. Most of the time it’s the public WAN IP of your home network’s DSL/cable Internet connection if the VPN server is located behind router. Check this what is my WAN IP article if not too sure about WAN IP of your home network's Internet connection. Note: Also tick that Don’t connect now; just set it up so I can connect later option. 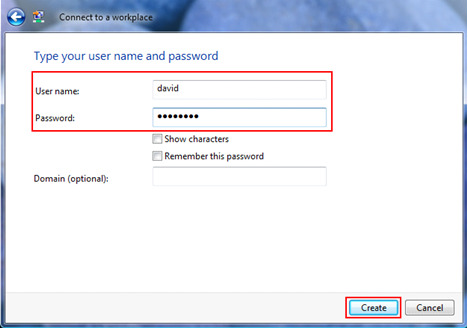 6) Type your user name and password that is permitted to connect to that VPN server, after that click Create. 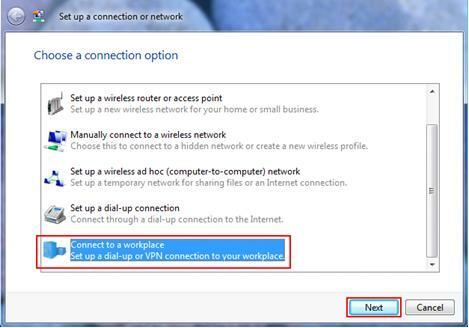 7) Ok..Now the VPN connection is ready to use, just click Connect now to establish the VPN connection. 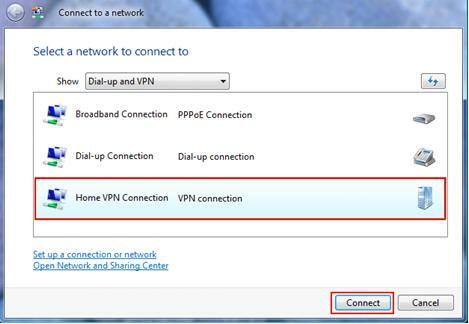 8) Next time whenever you need to establish this VPN connection, just go to Start->Connect To and you will find the connection there. Return to top of "PPTP VPN Client Setup in Windows Vista"! !